Vienna, January 19 (MTI) – The government’s family home-building scheme has triggered higher demand for credit and this in turn is vitalising the Hungarian economy, Mihaly Varga, the economy minister, told a Euromoney conference in Vienna on Tuesday. The government supports accelerating lending while reducing administrative burdens, he said. 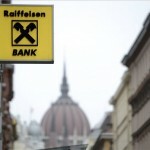 In light of a deal with the European Bank of Reconstruction and Development, this year the government would sell its stakes in MKB bank and Budapest Bank, in addition to acquiring a 15 percent stake in Erste Bank. 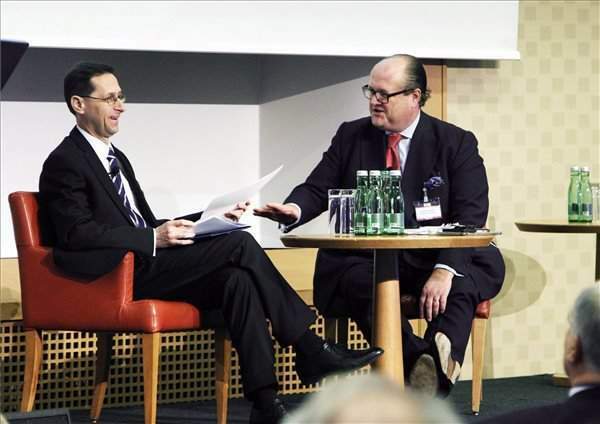 After the conference, Varga consulted with Erste chiefs. He said the valuation of the Hungarian unit’s portfolio had been completed and now all that remains is to agree on a price of the transaction. He said the EBRD deal reached last year was a “milestone” since this had led to a reduction in the bank levy from Jan. 1 this year. The activation of lending will allow the state to purchase, via the national asset manager, 10,000 homes of struggling mortgage-holders, expanding the stock of such homes to 35,000. He added that these properties, due to their insolvency, had hitherto burdened the Hungarian banking sector. In reply to question regarding a recent official visit to China by Hungarian officials, Varga said the government wants to expand the investor base in respect of the issuance of renminbi bonds. Hungary is preparing to issue a government bond denominated in renminbi in the next few weeks, Varga said. Late last year, Varga said Hungary was prepared to issue a yuan bond up to 3 billion Chinese yuan renminbi (EUR 420m) in 2016. 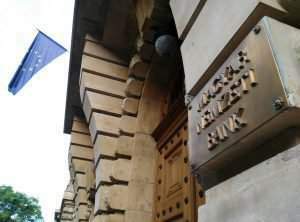 Hungary plans to issue the equivalent of 1 billion euros in FX bonds on international markets next year, according to the latest outlook issued by the Government Debt Management Agency (AKK).